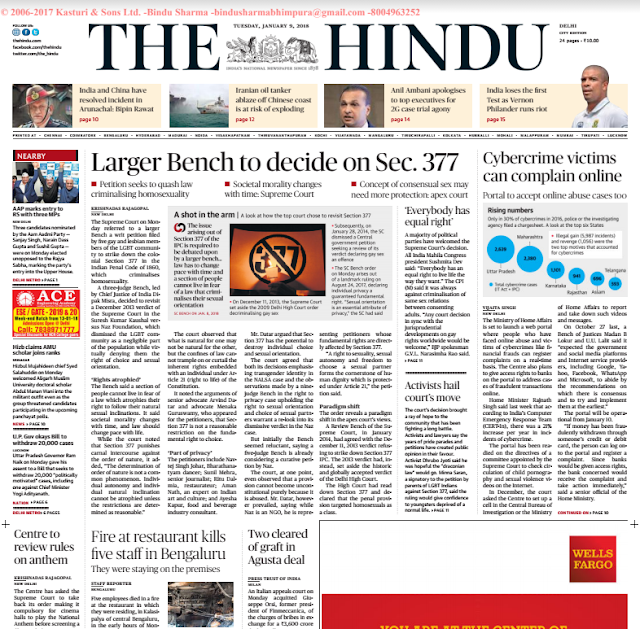 The Hindu News ePaper 09th Jan 2018 PDF Download Online Free - Get Here daily the hindu news epapers for all banking & govt. exams preparation. The Hindu is a very good newspaper for All competitive examination because it focuses only on fact news that appeals to an intellectual audience. This means it would be easy for you to select what is to be read and what need not be read.